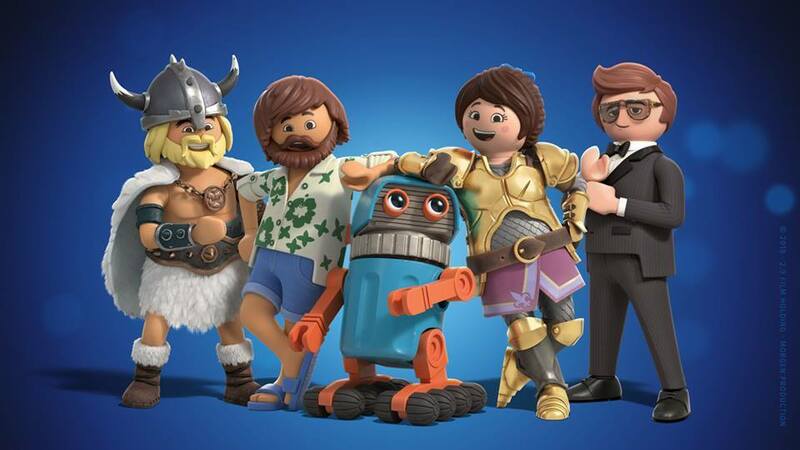 The animated feature film Playmobil The Movie is in the final stages of production, ready to hit theaters in all the world next summer. Below the new and complete trailer. The animations are produced by Canadian ON Animation Studios, with the direction by Lino DiSalvo (Walt Disney Animation Studios veteran animator), and the script written by Blaise Hemingway, Greg Erb and Jason Oremland. Sypsosis: When her younger brother Charlie unexpectedly disappears into the magical, animated universe of Playmobil, unprepared Marla must go on a quest of a lifetime to bring him home. As she sets off on a fantastic journey across stunning new worlds, Marla teams up with some unlikely and heroic new friends - the smooth-talking food truck driver Del (Jim Gaffigan), the dashing and charismatic secret agent Rex Dasher (Daniel Radcliffe), a wholehearted misfit robot, an extravagant fairy-godmother (Meghan Trainor) and many more.